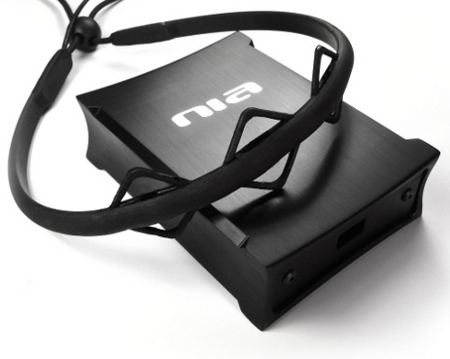 About a month ago I came across a mind controller made by OCZ, called by them a "NIA Game Controller" where the NIA stands for "Neural Impulse Actuator." This is a computer controller with a USB interface. Not that I have the money to blow on something as freaking sweet as this, but I want to anyway. The reviews were mixed on the product, but many were positive leading me to believe it's based on how well you learn to use it. My research tells me you need determination to learn how to us it. I like that. Using brainwave activity and facial muscle movements, one may exercise control over their PC or other USB enabled device that's compatible with the software. This is pretty damned fantastic. In fact, I think it's rather pathetic that for many years only our hands have been our only method (in practice) of controlling computer input. There are many other potential sources to control a computer on our body. Most importantly, our mind. While OCZ seems to be marketing this product as a gaming tool, the potential implications for this type of product outreach the gamers realm. You could control your TV channel surfing with your mind if you wanted, dial phone numbers, turn the lights on in your house- All with a mere thought. In fact you can do all of that now if you have the technical know-how to connect your PC to the mentioned devices. The major drawbacks with this device are two things which of course have their equal upsides and I'll explain. The first downside is its sensitivity is reviewed to be iffy, which of course partially has to do with the individual user, but the upside to this is less sensors = cost less. About $100 on eBay. The other downside is this device is USB which is not necessarily good if you plan to use it a lot for "convenience" purposes, like turning on your lights, but the upside is it likely has a higher response time (great for gaming and other time oriented applications) since it's physically connected. Don't like those downsides? 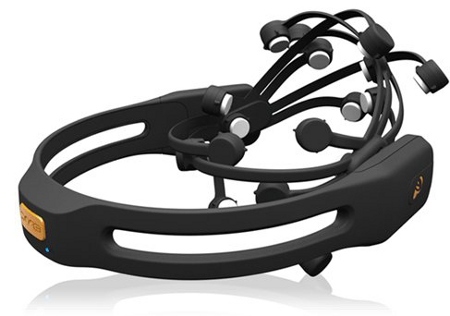 ENTER THE EMOTIV EPOC Neuroheadset. From another company and for a higher price on their website of $299.99, the EPOC Neuroheadset will keep you cord-free wireless and with more points of reference on your head for your mind control. Very cool. This makers of this device market a wider array of applications for it, which of course are potential applications for the OCZ headset as well. They're both extremely fascinating tools in my humble opinion and I'd like to get my hands on both of them plus the EMOTIV EPOC Developer Edition Headset so I can make some applications for it. Unfortunately, EMOTIV seems to want to keep all of the software developed for the headsets sold only in-house, which is fine by me from a developers standpoint, but as a technology enthusiast, I think it will slow down overall adoption and advancement of the technology. OCZ may have the upper hand there. Hosted by HostNine This page was created in 0.00254893302917 seconds.